On 10 February 1904 at St George’s Chapel at Windsor Alice married Alexander in “a spectacular affair.”1 The bride was escorted to the altar by her brother where King Edward VII gave her away. The first part of the honeymoon was spent at Brocket Hall and the second part in Cannes. Their first home became Windsor Castle as Alexander had been transferred to a regiment near there. Alice and her new husband would often visit the continent, such as the marriage of King Alfonso XIII and of course, to her brother in Coburg. Between 1906 and 1910 Alice and Alexander had three children. Princess May Helen Emma was born on 23 January 1906, followed by Prince Rupert Alexander George Augustus on 24 August 1907 and Prince Maurice Francis George on 29 March 1910. Maurice lived for less than six months, and it soon became clear that Rupert was a haemophiliac like his grandfather. Alice was devastated, but she learned to live with the realisation that he might die at any time; she had no choice. In 1910, King Edward VII died and was succeeded by his son, now King George V. In 1911, she attended his coronation and later that same year she and Alexander visited Siam to attend the coronation of King Vajiravudh. In 1914, Prince Alexander was chosen to succeed the Duke of Connaught as Governor-General of Canada. The First World War also found Alice and her brother on opposing sides. Alice wrote, “The outbreak of the war between England and Germany shattered his life, he was denounced in Germany for being English and in England for being German.”2 For now, Alice and Alexander did not go to Canada. Alexander sailed for Belgium to join his regiment while Alice became the Chairman of the Sailors’ and Soldiers’ Families Association. She visited her husband in Belgium and while there met with King Albert and Queen Elisabeth. In 1917, King George V decided that family members bearing German names and titles must change them for English ones. Prince Alexander was to become the Earl of Athlone. Alice, a British Princess by birth, remained a Royal Highness and a Princess but with the additional title of Countess of Athlone. Their daughter became Lady May, while their son became Viscount Trematon. According to Alice, Alexander was furious about the change. After the war, he was appointed Personal Aide-de-camp to his brother-in-law, King George V. Both he and Alice were involved a great number of royal duties. It wasn’t until 1921 that Alice and her mother were reunited with Charles Edward, who had been deposed from the Ducal throne. On the second visit in 1922, Helena died suddenly of a heart attack. She was buried in Tyrol. Alice remained an admirer of her mother, “She triumphed over all this, because… she had a tremendous personality and was full of courage and intelligence.”3 Later that year, Alice and Alexander moved from Windsor Castle to Brantridge Park in Sussex. In 1923, Alexander’s appointment as Governor-General of South-Africa was announced. In early 1924, the family departed for South Africa. They were to spend seven years there, and Alice threw herself into her work. On 1 April 1928, Alice and Alexander were in Cape Town when they heard that their son had been involved in a car crash in France. He had been travelling with two friends, one of which had died in hospital. Rupert did not seem seriously injured, and Alice decided to remain in Cape Town while receiving daily updates. He seemed to be doing better but died after he had begun bleeding again. He died at 3 o’clock in the morning of 15 April. Even if Alice had set sail immediately after the accident, she would not have been in time. Alice described Rupert’s death as “the greatest tragedy of our lives.”4 He was buried in St George’s Chapel while his parents attended a service in Cape Town Cathedral. In early 1931, the family left South Africa and Alexander’s post as Governor-General. In October 1931, Alice’s daughter May married Captain Henry Abel Smith, with the future Queen Elizabeth II as one of her bridesmaids. Alice’s first grandchild was born on 28 July 1932 and would be followed by two more. In 1936, King George V died and was succeeded by his eldest son who became King Edward VIII. Her brother Charles Edward, who had joined the Nazi party in 1935, had high hopes for the new King. He was in England during this time, and he would send a report to Hitler of his findings of the new King’s thoughts on an Anglo-German alliance. The new King would be gone by the end of the year, to marry Wallis Simpson, and he was replaced by his younger brother, who became King George VI. Alice once again attended a coronation. In 1940, Alexander was once again appointed Governor-General of Canada. He was appointed for two years but ended up staying for six years. The Second World War began just as they were leaving. Alice was once again brilliant in her role. 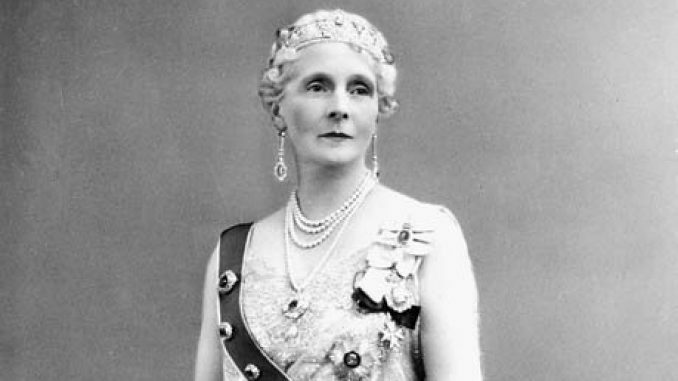 “Government House has rarely had a chatelaine with her perception, imagination, and capacity for friendship – and a trait no less endearing: frankness and candour.”5 In Canada they were joined by May and her children but also by Princess Juliana and her two daughters who were exiled from the Netherlands. The end of the Second World War also saw Alice and Alexander leave Canada. Their tenure ended in 1946. They returned to war-stricken England. In England, they moved into apartments in Kensington Palace. Despite their age, they were still constantly involved in royal duties. Alice’s brother had been imprisoned after the war for his dealings with the Nazis and, although there wasn’t much Alice could do for him, she was able to get him into more comfortable lodgings. He was eventually sentenced to a fine, and he died a broken man in 1954. By 1974, Alice was the only surviving grandchild of Queen Victoria, and in 1977, she became the longest living member of the British Royal Family (this record was eventually broken again). In 1978, she had a fall where she hurt her shoulder and spend a few days in the hospital. This marked the beginning of her deteriorating health and she became “frightfully bored.”9 Princess Alice died, peacefully in her sleep, on 3 January 1981, a month before her 98th birthday. 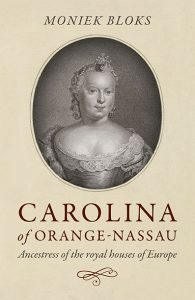 She was buried in at the royal burial ground in Frogmore in a quiet and private service. Hers had been a remarkable life.